home Events and Exhibits, Resources and Services Thanks Grads! 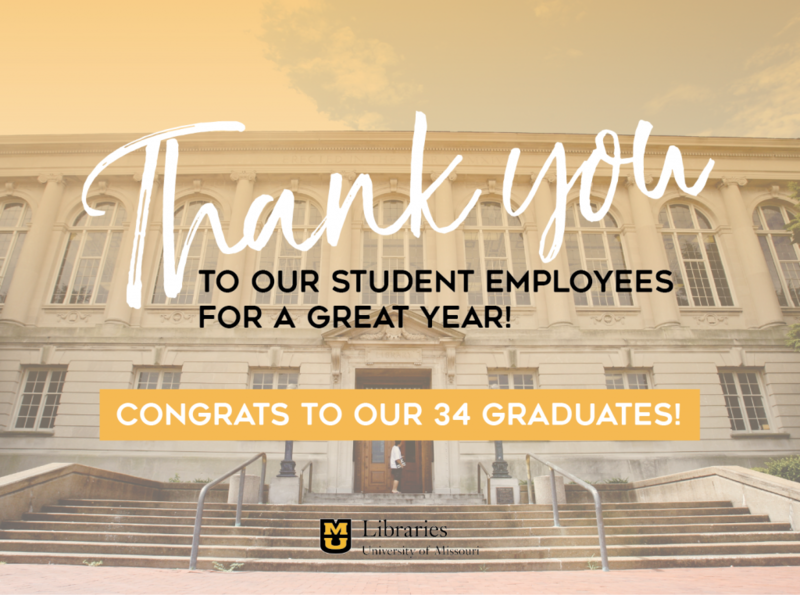 The MU Libraries currently employs over 150 student workers. It would not be possible to run the Libraries without them! Thirty-four of our student workers will graduate this semester. We wish all of our students best of luck on their finals, and congratulate our graduating seniors and graduate students. For information about empolyment at the Libraries, visit http://library.missouri.edu/about/employment/.